My PC auto-updated to Tor 8 and I no longer have the green onion on the left side of the browser where I can check my circuit or change to a new circuit. Can I roll back to an earlier version of Tor that allows me the functionality I seem to have lost? Circuit information is now shown within individual tabs by clicking the "i" object at the far left of the address or URL bar. 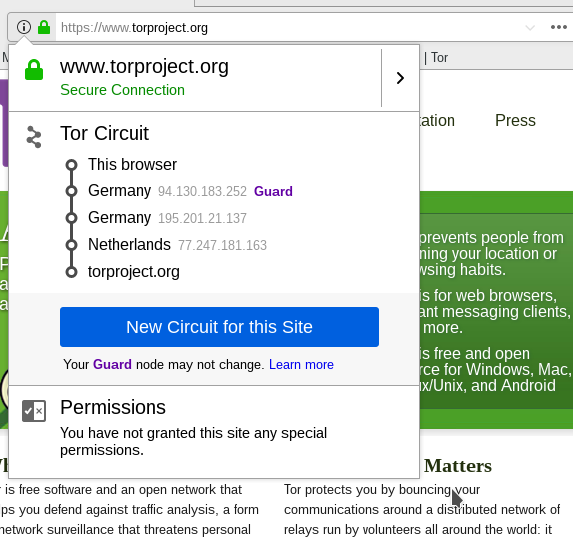 Is the Tor browser always using at Tor ciruit?